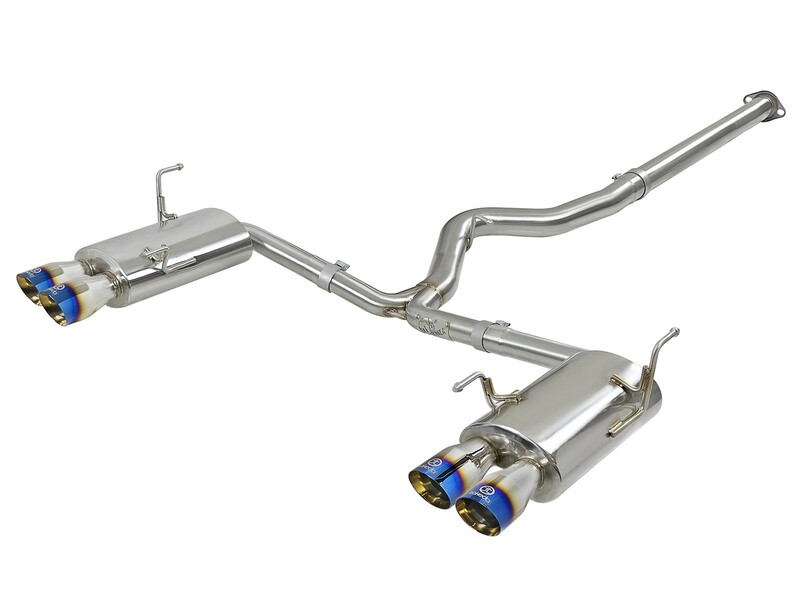 This Takeda dual cat-back exhaust system for the 2015-2019 Subaru WRX and WRX STI delivers true bolt-on performance with gains up to +14 horsepower and +22 lbs. 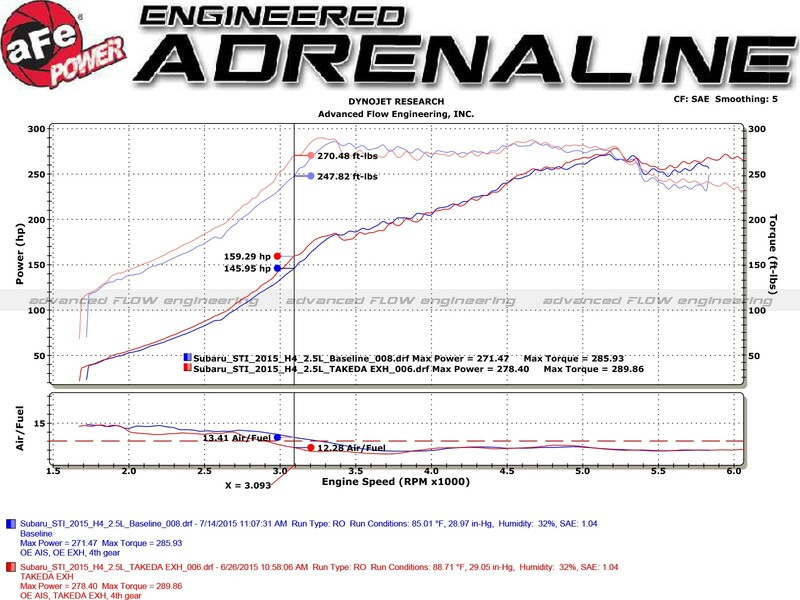 x ft. of torque as measured on our in-house dyno. 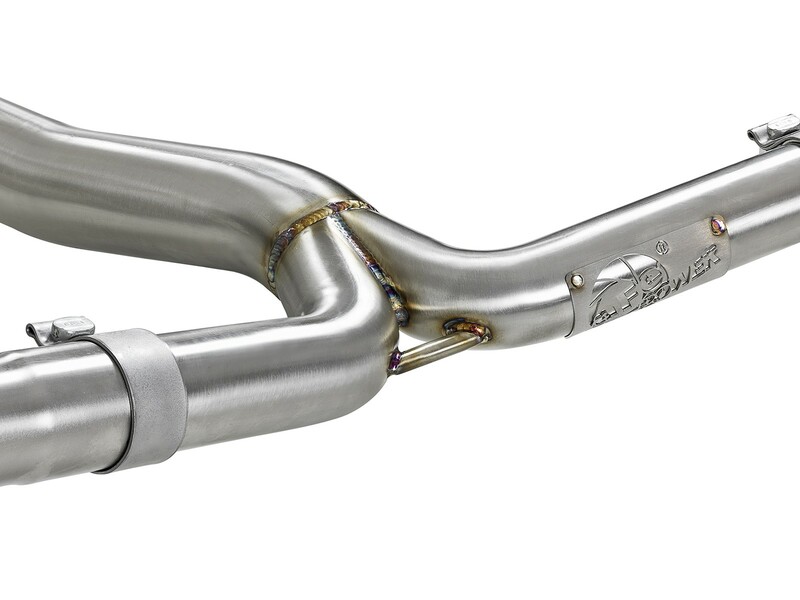 3" into 2-1/4" mandrel-bent 304 stainless steel tubing, mitered merge and dual, stainless steel high flow mufflers evenly distribute exhaust gases to improve performance across the power band while maintaining an aggressive sound. 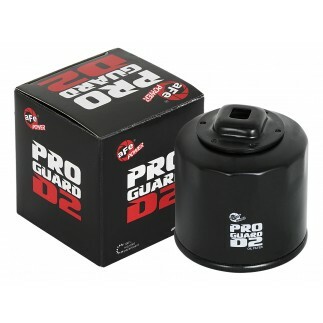 Quad, 304 stainless steel, blue flame 3-1/2” diameter tips with laser-etched Takeda logos complete the look. In house dyno testing produced gains of up to +14 horsepower and +22 lbs. x ft. torque. 3" - 2-1/4" mandrel-bent, 304 stainless steel tubing for maximum performance, corrosion resistance, strength, and durability. 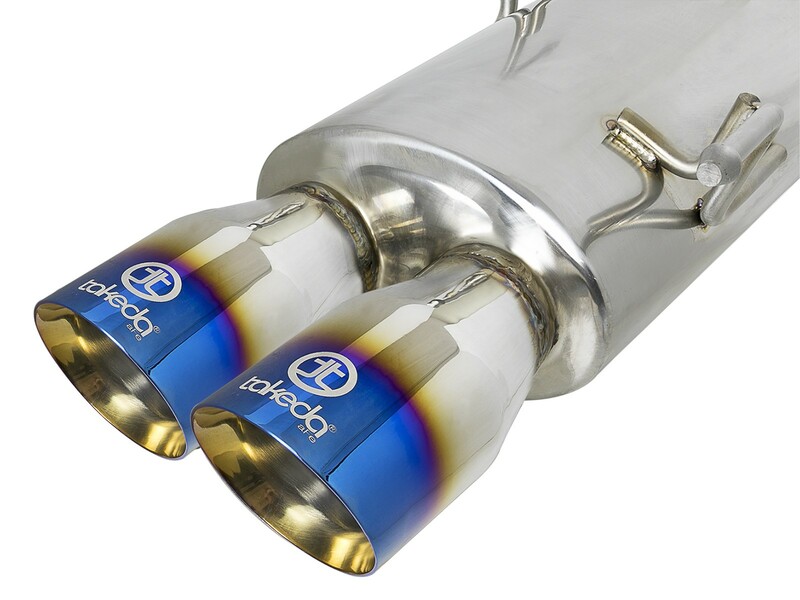 Quad 3-1/2" diameter blue flame finished stainless steel exhaust tips. The tips come with a laser-etched Takeda logo for a custom look. 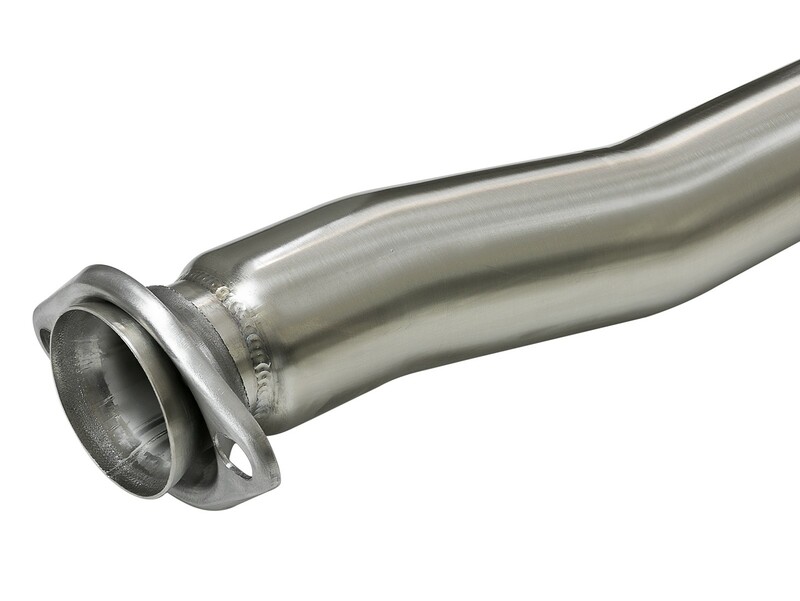 Dual high flow 304 stainless steel mufflers are used to absorb high pitch tones producing a powerful sound. 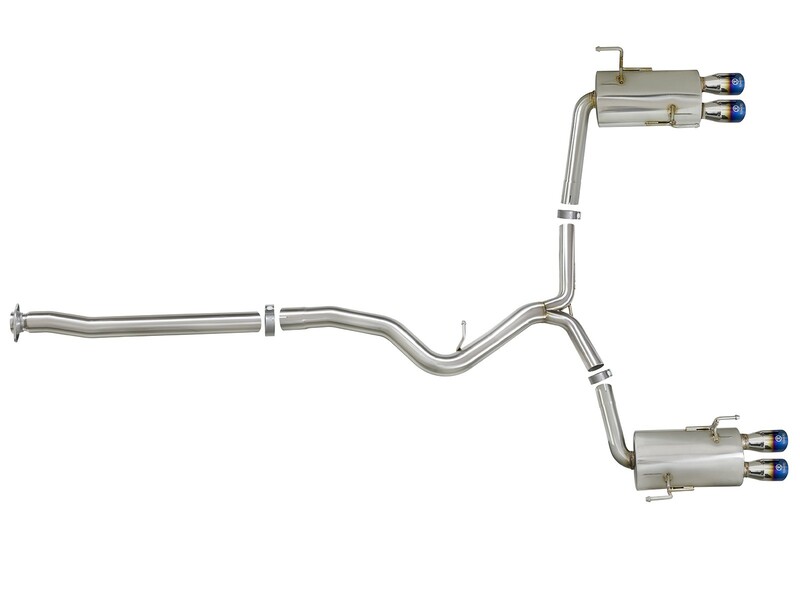 A true mitered merge is used to maximize scavenging and evenly distribute exhaust gases thru the muffler reducing un-wanted back pressure. 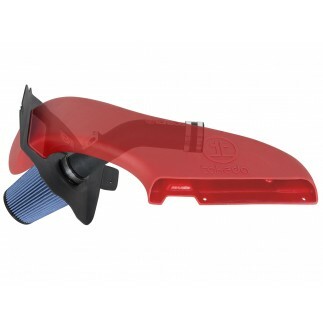 This system is designed to be a direct bolt-on system with no cutting or modifications required. Also included is high quality stainless steel hardware for a hassle-free installation.